You are here: Home / Dog Food / Dog Food Brands and Mr Chewy-How Did We Get it So Wrong? I take one look across the swathe of on line pet food retailers and my nutritional toes curl up in monumental disbelief at the sheer scale of useless waste being peddled as top dog food brands. One brand after another of cancer inducing morbidity the target demographic-our dogs, get to play dumb animal dutifully shlepping down this toxic grule with reinforcing belief in owners none the wiser for their hand in future health calamities. Mr Chewys the name and online retail’s the game. Part of a new litter of Web-only pet-supply stores that have emerged in recent years, MrChewy.com, based in Miami and backed by top venture-capital firms launched September 2010 and is co- founded by Michael Day. Mr Chewy carries mainly higher-end, gourmet dog food as the more expensive products are higher-margin. Now, Mr Chewys Brent Rangen contacted me with the offer of a $50 promotional code to use on their website in exchange for an honest review of their services, so I replied and this is what I said “I would have to give notice that the review may not be what you want to hear, I’m pretty strong in my views and certainly un-wavering where dogs health is concerned”. So I could cover the usual review stuff like delivery times, costs, popular dog food brands carried and all that dutiful consumer experience stuff but as you might guess I won’t be, plenty of other websites spending their $50 on some review goodies and while I might be alone in the wilderness on some points of view, when it comes to dog health I’m un-wavering in my devotion to the truth on the subject. Mr. Chewy is the spot for pet people. Mr. Chewy delivers pet happiness by conveniently shipping 70+ brands of pet food and stuff (for free!) while ensuring at-risk animals’ lives are improved across the planet. At-risk animals need a hero — and let’s face it — driving to the store and schlepping pet stuff bites. 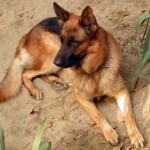 Unlike the big, corporate, profit-driven pet retailers, MrChewy.com is driven by pet happiness not the bottom line. So there you have it, apparently it’s all about a passion for animals and not about profit like those big retailers, indeed pet happiness is the bottom line. Geeze, don’t mention that to Michael Day or his venture capitalist buddies at the yacht club, they thought there would be profit… eventually! Right enough is enough let’s get to the summation part before I ramble on about another profit driven enterprise with its moral head up its arse. You, dear consumer can buy online convenience in a shiny packet for ridiculously expensive money, even a cooked ham bone (which is therefore hardened from cooking and potentially dangerous costing $4.99). Now this sentence just might make you squirm a little perhaps even go into a mild state of cognitive dissonance -but- and perhaps for the first time, how about turning your back on commercial dog food in the full knowledge that it has no real lasting nutritional benefit to your dogs health and switch to a diet more in keeping with the natural order of things and feed a raw food based diet. Because the only at-risk animal around is your animal. The unbelievable zeal in which we as people pride ourselves in the wallowing mud of consumerism, heck me too at times. In a time of great up-heaval and with interesting times ahead to say the least, one would think it prudent to bare all in frank and honest manner over facebook or twitter and come to the general crowed pleasing conclusion that we must embrace a greater cause for simple, un-cluttered, pared back lifestyles in line with basic moral codes that parallel natural laws and not the defacto crony capitalist late to the party, saber rattling, old boys club lust and mayhem we are all used to. In short-we have lost our way. Commercial dog food is convenient, no doubt, but the pain, suffering, expense and sense of loss resulting from junk food-related illnesses is anything but convenient. Don’t let the name on the bag fool you, the nearest taste of the wild your dog will get is possibly some road kill Raccoon. 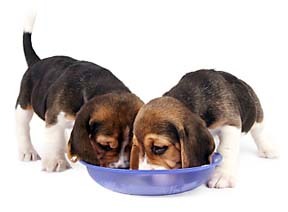 Whatever the best dog food brands, commercial dog food lacks suitable enzymes in the right quantities vital to proper digestion. The high temperatures used in the heating process at the manufacturing plant alter the already low quality waste food to something ever more hazardous to your dog’s health by damaging or altering the chemical makeup and balance of proteins, fats, carbohydrates, vitamins, minerals crucial to long term dog health. And don’t be fooled by the expensive stuff, it’s just as dead, lifeless, nutrition-less fare that mostly passes through your dog with remarkable resemblance to the foul smelling stuff in the packet once out the other end! 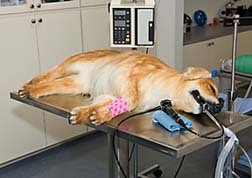 Ingesting these damaged and mutated proteins is harmful to dogs because the altered, out of balance and largely unrecognized proteins are the cause of many allergic reactions seen at least outwardly in various skin, coat, eye, ear, joint, periodontal and gas conditions, as well as behavioral problems. Such symptoms become an early warning system to the deeper chronic conditions that lay ahead. 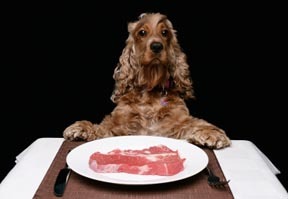 Although many dogs seem outwardly fit and healthy on their present diet, rather than viewing this as any kind of endorsement for the commercial food they eat, it’s more a testament to dogs staying power. But over time the inevitable occurs. 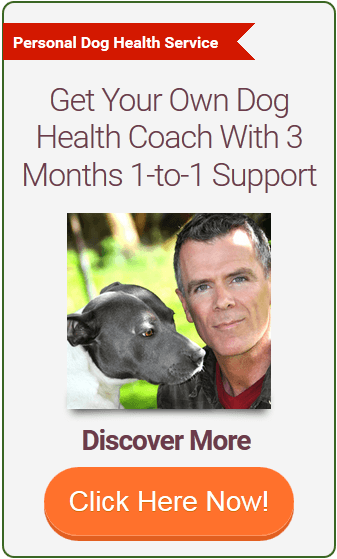 A compromised diet begins to manifest consequences that prematurely age your dog and eventually cause an immune system breakdown and a shortened life, not to mention prolonged suffering. Would you eat this stuff? Would you feed it to your children day in day out, and for the rest of their lives? No, we eat fresh, wholesome food. We enjoy variety, and as a result we generally experience good health. Excuse me here, but isn’t the premise that we love our dogs? Doesn’t your dog deserve the same level of overall health, as well as the varied and passionate experience of eating their favorite foods? 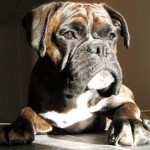 The government, the pet food companies including Mr Chewy, the veterinarian governing bodies and in most cases the vets themselves are generally not willing or able to help you out with this issue. Too much money, power, greed, control or indifference will get in the way of their objectivity, and as a result we are left with the fact that 90 percent of all diseases are related to diet. It is up to us to educate ourselves, and in so doing be able to heal our dogs simply and effectively. Because natural dog food also acts as healing medicine, making the job of keeping your dog in great health simple. Next time you pass that butchers shop, spare a thought for your dog, no, go one better than that, get in that shop buy a few chicken quarters, ask for a free bone (not $4.99 cooked bones AKA MR Chewy) and start a revolution in your street-you’ll be the talk of the local dog park… and watch the sheer magic as your dog becomes free of any and practically all health complaints within weeks. You decide, online dog food brands convenience or canine conscious? 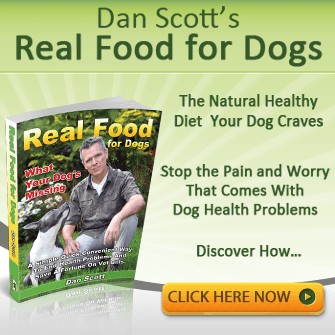 Interested to know more about what your dog really loves to eat for real life long health? Get the free report below. As far as I am concerned, this packaged dry pet food racket is not at all different than producing and distributing counterfeit pharmaceutical drugs on the black market; with one glaring exception, it is unregulated. 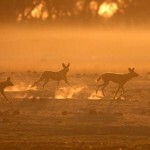 At least humans have the FDA, but who is going to fight for the rights of animals? Since apparently the government won’t let an organization regulate pet food companies, you have to expose them guerrilla marketing style. Hi Frances, guerilla style, love it. Yes double standards mean poor dog health and no one in government with the balls to stand up and be counted, I think they have all benn bought sadly. We have to make a stand for our dogs. Thanks for some insightfull comments here, much appreciated. 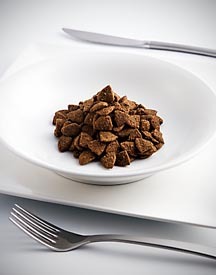 I hope that one of these days there are stricter rules on the dog food manufacturers to follow a stricter guideline when making the food they make. How hard is it to stop putting so much grain into food and use better ingredients? I understand that it would make the food more expensive but I think it would be worth it. I sometimes think that my dog swallows his food hole because he doesn’t like chewing those hard kibble pieces but he will get a piece of the chewy meat or whatever in his food and he really likes that stuff and will chew on it for a long time and the more chewy the treats he gets the happier he is as well. I think that is where we went wrong, hard food. Hi Juliet, we went wrong accepting junk pet food as quality nutrition. Like our kids, our dogs need fresh food in their diet for real health. Yes me too. It’s all profit over people and they won’t change, they don’t have to. We are the ones who must change, step up and take self resposilbility.